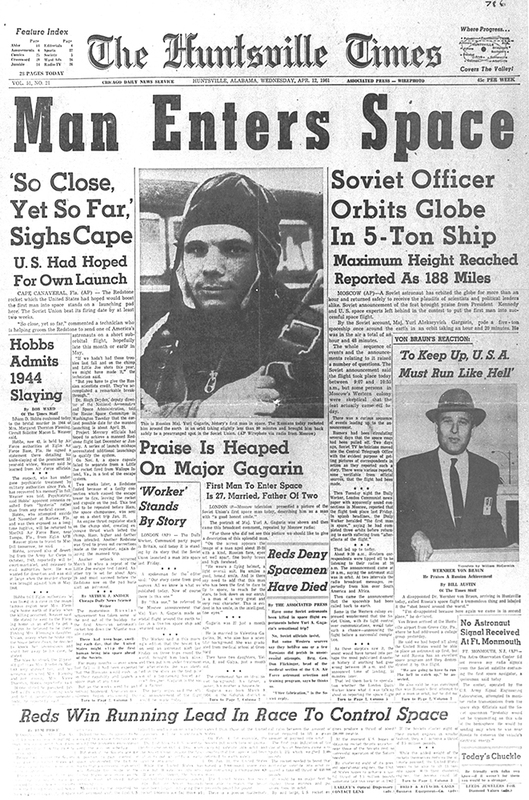 The Huntsville Times covered Gagarin’s historic flight, but not without a sigh from the NASA team at Cape Canaveral. Soviet cosmonaut Yuri Gagarin became the first person in outer space when he orbited the Earth in the Vostok-1 spaceship. Visual: Take a look at the Vostok-1 control panel. Do students recognize any instruments? Can they identify the orientation of the globe? Background: Gagarin was not just the first man in space; he was the first man to orbit the Earth. Can students explain how going into orbit is distinct from going into space? Activity: Discuss the Cold War’s “Space Race” between the US and the USSR. Use this lesson plan, along with articles such as “USSR Launches Sputnik” and “First American in Space.” Why do students think the Soviets and Americans engaged in the race? Do they think there was a “winner”? When Texas pianist Van Cliburn won the first International Tchaikovsky Competition in Moscow, Soviet Union (now Russia), it provided a major thaw in the Cold War. Visual: “Great classical music is universal and eternal. We are privileged to hear it, to know its value, and reward its worth,” said Van Cliburn. Today, the Van Cliburn International Piano Competition (nicknamed “The Cliburn”) is a premier piano event, hosting some of the best young pianists from around the world. Have students choose a performance and listen to the 2017 Cliburn here. How would they judge competitors? Background: Read this article about how Soviet coverage of Cliburn “downplayed his Americanness, reminding readers and listeners that his teacher, albeit an émigré, was Russian and that his mother’s teacher had been Russian, too. To their great satisfaction, they discovered that Van was really a great Russian pianist after all.” Discuss what “Americanness” might mean. Activity: Use these standards-aligned lesson plans to bring The Cliburn to your classroom! 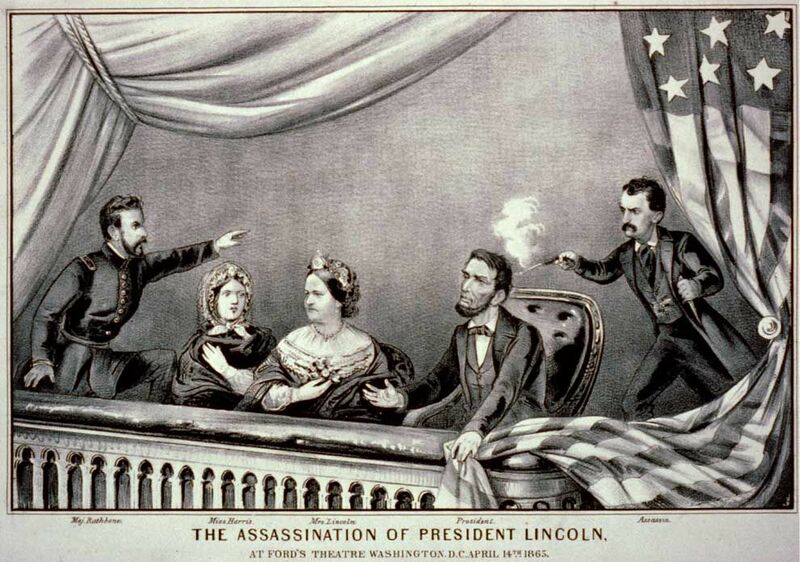 Popular actor John Wilkes Booth shot President Abraham Lincoln while Lincoln was watching the play “Our American Cousin” at Ford’s Theater, just blocks from the White House in Washington, D.C. Attending the play with President and Mrs. Lincoln were their friends Henry Rathbone, a young military officer, and his fiancee, Clara Harris. President Abraham Lincoln’s assassination came just one week after the Army of Northern Virginia surrendered at Appomattox. Visual: Lincoln understood the “power of the portrait” and became one of the most photographed men of the 19th century. Take a look at these portraits of Abraham Lincoln and discuss what emotion or value he intends to convey in his appearance. Background: From humble beginnings to a tragic end, have students watch this video to follow the events that shaped the life of the United States’ 16th President. Activity: Examine this map of Lincoln’s funeral train route and discuss its impact. How do students think the route was determined? What communities do you think came to visit the body? Why? A giant dust storm sweeps through Goodwell, Oklahoma, in 1937. 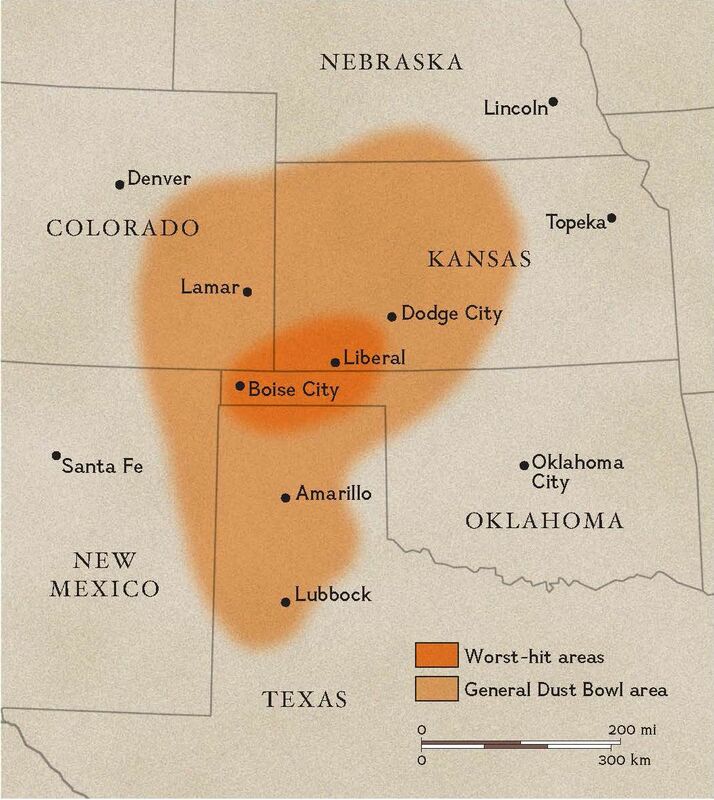 The period of time between 1930-1939 was deemed “The Dust Bowl” for the number of dust storms that swept through the Great Plains as a result of poor land management practices. 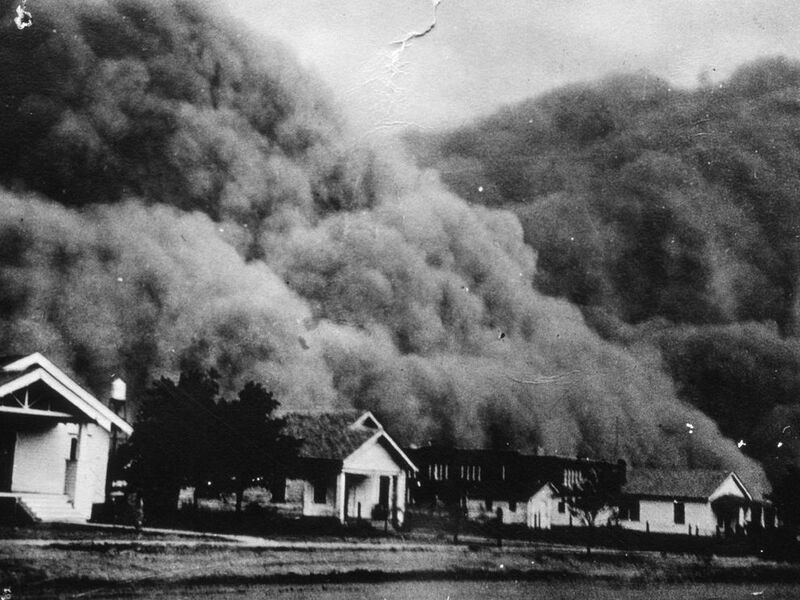 Tons of valuable, rich topsoil was lost during the Dust Bowl. Map: Have students look at the hardest-hit areas of the Dust Bowl, and put them in context with a map of land-use patterns. Background: Can students define the “Great Plains”, and what makes them vulnerable to “black blizzards”? Activity: Explore how John Steinbeck’s novel The Grapes of Wrath portrays the Dust Bowl. How are changes to the physical environment depicted? How are changes to the social structure depicted? 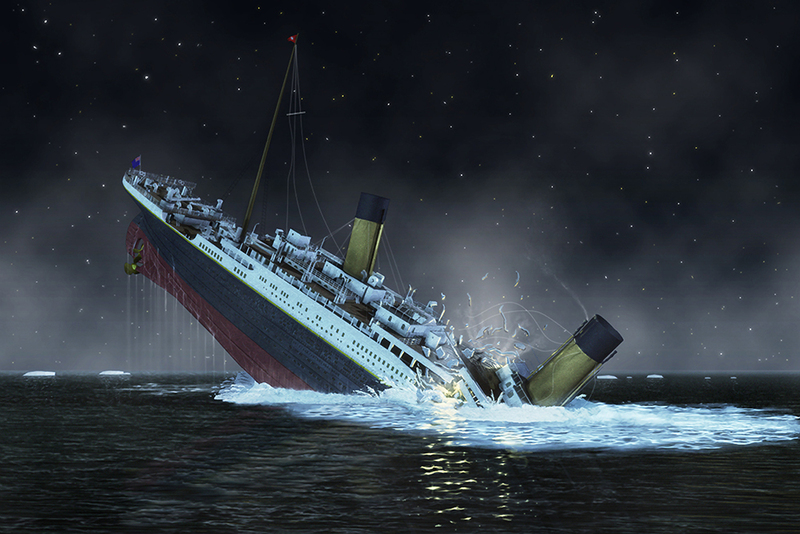 Four days into its first voyage, the Titanic hit an iceberg and sank in the North Atlantic Ocean. The “unsinkable” R.M.S. Titanic sank off the coast of Newfoundland, Canada. Visual: Have students scroll through this photo gallery of the launch, loss, and rediscovery of the Titanic. Background: Have students research why the ship sank, and the strange story of how it was rediscovered. Activity: What went down with the ship? How were people compensated for their losses? Have students read this fun, fascinating article about the value of items that went down with the Titanic. Then they can use this inflation calculator to help put value in perspective.